Felicity Acquah holds an Executive Masters degree in Business Administration; MBA (Finance), a BA in Economics and Law and a Postgraduate diploma in Project Appraisal and Management. She is also a -certified trainer in Entrepreneurship and a Certified Business Development Advisor. She is a Project Analyst and Development Banker by profession. With over 30 years of banking and business development experience, she has served in senior positions in the Agricultural Development Bank, National Investment Bank, Merchant Bank and Women’s World Banking. She served as Managing Director of Eximguaranty Company (GH) Limited, a Finance House for ten years. She pioneered and led the implementation of the Relationship Management Workshop for Bankers between 1995 and 1997 for the benefit of the Agricultural Development Bank, Merchant Bank Ghana Limited and Barclays Bank. She won meritorious awards on the celebration of Empretec Ghana Foundation’s 10th Anniversary. Ghana association of Women Entrepreneurs accorded her two awards for her contribution to business development in the country, having led the conduct of over 30 Entrepreneurship Workshops and over 40 Management Seminars for SMEs in Ashanti; Greater Accra; Western and Northern Regions. She won an African Leadership Award in 2005. She was adjudged the Marketing Woman of the year 2006 by the Chartered Institute of Marketing Ghana and is a fellow of the Chartered Institute of Bankers. She was accorded the Ghana Women’s Excellence Award through the Ministry of Women and Children’s Affairs in April 2012. An International NGO, GWIN awarded her a medal and certificate at the innovative Women in Business; Workplace and Leadership Awards ceremony in April 2012. 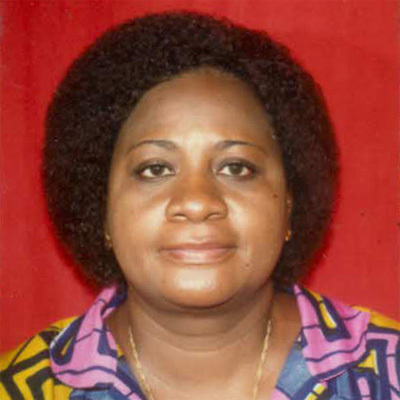 She had previously served on the Boards of: Food Research Institute; Gold Coast Securities; Metropolitan and Allied Bank; National Board for Small Scale Industries; Women’s World Banking; Empretec Ghana Foundation; Ghana Education Trust Fund (GETFund); Ghana Social Marketing Foundation (GSMF) the Chartered Institute of Bankers, the Association of African Development Finance Institutions (AADFI) the Guarantee Committee of the Guarantee Fund for West Africa (GARI) and Eximguaranty Company (GH) Limited. She is currently serving on the Boards of the Catholic Institute of Business and Technology (CIBT), Bayport Financial Services; Camelot Co. Ltd; IFS (Institute of Fiscal Studies) and is the Vice Chairman of the Business Council of Africa (Ghana). She is a patron of FIDA (Ghana) and a patron of Empretec Women’s Forum (Accra Chapter).